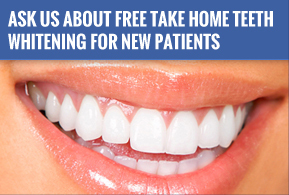 At Frankel Dentistry, we understand how monumental and potentially life-changing some dental procedures can be. Many of them, particularly the more complicated issues, seem overwhelming at first. During these times, it is natural to seek a second opinion. A different set of eyes can lead to a better solution for you. With over 20 years of experience in the field of dentistry, Dr. Frankel is skilled in general, cosmetic, and restorative dentistry. He is a member in good standing with the American Academy of Cosmetic Dentistry. He has also received certifications from a number of highly respected institutions, including Rosenthal Institute of Aesthetic Dentistry, the Scottsdale Center for Dentistry, and the Chen Laser Institute. Dr. Frankel also stays up-to-date with all of the latest technology in the field, assuring your experience at his practice will involve only the highest quality instruments and the most advanced revolutionary concepts dentistry has to offer. Additionally, he is a highly recommended dentist in the Toledo area. Being voted the Best of Toledo three consecutive years, proves the admiration and respect his patients and the area has of him. When dealing with our dental health, or other dental procedures like veneers, the time, money, and commitment can be a little overwhelming. Therefore, seeking the best solution to these matters is important. At Frankel Dentistry, we love to educate our patients on what solutions work best for them and give them the important information they need before making any decision. Allow us to help answer your questions.